Relationships: Things Your Husband Wants You To Know! Home Men Relationships Women Relationships: Things Your Husband Wants You To Know! He loves you. You are his world, though you may not think so. He does not always have an easy time expressing his feelings or sharing verbally, though he does show you in other ways. While you may prefer a hug or words of endearment, he may demonstrate his love when he buys you your favorite snack or mows the lawn. He is embarrassed by how you talk about him with your friends and/or in public. When you make a joke about how he can’t find anything, that he doesn’t listen to what you say, or that he is a hermit, he doesn’t find it funny. When you criticize him in public he feels shamed. After a while, these remarks begin to chip away at his trust in you as his loving partner. He wants to be #1. Although he loves your devotion to the children, he sometimes feels left out. He wants to feel more important than the kids so that when he is talking to you and the children interrupt, you put him first instead of attending to them. He is your full partner in parenting but he doesn’t want to compete for supermom’s attention. He wishes you would take interest in him, spend time with him, and go out once in a while. Showing your kids that your marriage comes first is a valuable lesson that will benefit them in the long-run even though they may be “kicking and screaming” when you leave them with a baby sitter. His sense of self-worth is directly connected to his abilities to provide for you. 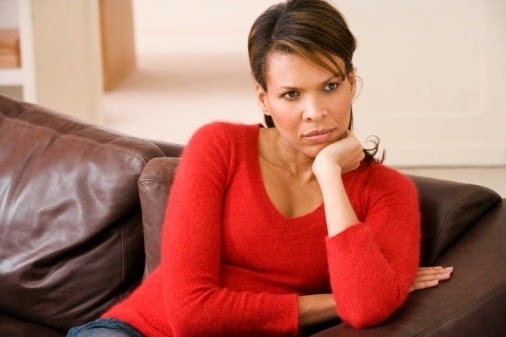 If your husband is currently out of a job and you are experiencing tension in your relationship, it is no wonder why. He needs you to understand how hard it is for him when he can’t provide because he feels like a failure. When you get anxious about your financial situation it makes him feel even worse because he has let you down. There is nothing more satisfying for a man than to provide for his family. Realize that money is an extremely charged issue for both of you. Any discussion about the topic will be smoother if you are able to be more sensitive and focus on crunching numbers instead of battling fears. He wants to be appreciated. He wants to know that you appreciate him for everything he does for you. He wants to know that you appreciate him for who he is. When you complain about all of the things he doesn’t do right, it is hard for him to feel that you value him. Keep in mind Dr. John Gottman’s 5:1 ratio of positive to negative interchanges. For every one negative remark you make, try to think of five positive things to say, to counteract the negative effects of a critical word. While we may feel so busy with life’s to-do list that we forget to express our appreciation, we seem to find time to share a complaint or frustration with our spouse. Try carving out a few minutes each day before bed where you share with your husband what you appreciate about him and why. These points are not all that surprising or profound, but you’ll be amazed at the positive and immediate effect they can have on your marriage. By accepting the way your husband loves you, being careful about criticizing him, making him #1, monitoring your money fears, and expressing appreciation for him, you are showing him that you are willing to meet him half way towards a better and more fulfilling relationship.